Contact Fort Lauderdale Car Accident Lawyers Gerson & Schwartz, P.A. Uber is a popular means of transportation with tourists visiting Fort Lauderdale. Whether travelling around town or for transportation to and from the airport, people are using Uber at an increasing rate. Uber is a well-known company and trusted by tourists and residents alike when travelling. Accidents involving Uber vehicles may have different legal and insurance implications than a typical automobile accident. If you were passenger in an Uber car and have been the victim of an accident, we can help. If you have been hit by an Uber car, we can help. Fort Lauderdale is located on the east coast of Florida in Broward County. Fort Lauderdale is known for its warm weather, sunny skies, and beautiful beaches. It is a popular tourist destination with over 16 million visitors each year. 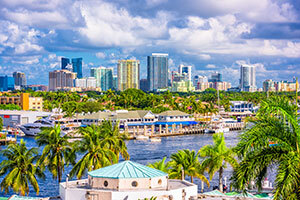 Fort Lauderdale has approximately almost 180,000 residents. It is easily accessible from I-95, I-595, the Turnpike and US Highway 1. The city has a combination of residential development, commercial properties, and businesses. Fort Lauderdale has multiple restaurants, shopping centers, and retail outlets, as well as grocery stores and shopping malls. Serious injuries that require medical treatment may result from an Uber driver accident. Accident victims may be entitled to receive compensation for current and future medical expenses. If you’ve been injured in an Uber accident and cannot work, you may be entitled to compensation for lost wages. Our Fort Lauderdale Uber accident attorneys have helped injured clients receive the compensation they deserve and restore their lives. Those injured by an Uber driver often have questions about recovering lost wages, paying for medical treatment, or repairing damaged property. We can help you through the process. If you’ve lost a loved one in an Uber accident, we can assist you with an Uber wrongful death claim. If you’ve suffered injuries or incurred damages as the result of an Uber accident and would like to speak to our Fort Lauderdale Uber accident lawyers, contact Gerson & Schwartz at (305) 371-6000 for a free consultation. 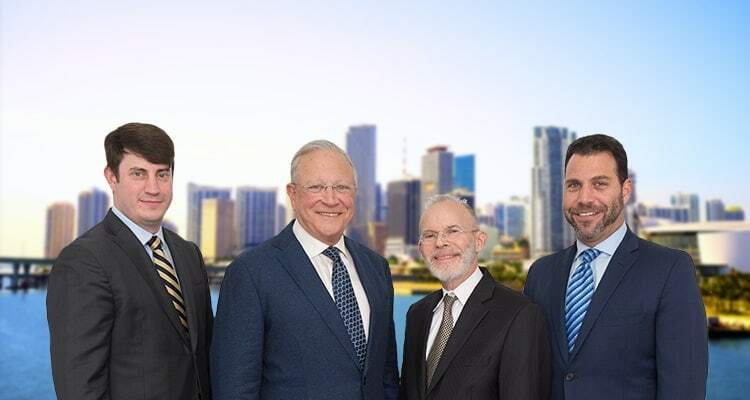 If you have questions regarding recovery of lost wages, payment of medical bills, or repairing damaged property, contact the Fort Lauderdale Uber accident attorneys at Gerson & Schwartz for your free consultation. Accidents involving Uber vehicles bring a unique set of issues to injured passengers. Drivers are contracted by Uber. This along with other circumstances may increase the number of responsible parties in an Uber accident. Should the accident result in death, additional factors may need to be considered. Determining the liability of each responsible party, as well as insurance and legal ramifications, may be based on different factors for each party involved making these cases tricky. Accidents involving Ubers drivers can be complex cases. We represent any person injured in an Uber accident including Uber drivers injured by other negligent drivers. Our Fort Lauderdale Uber injury lawyers can answer your questions about lost wages, payment for medical treatment, and repairing damaged property. If you or your loved one have been injured as the result of an Uber accident, give our Fort Lauderdale Uber accident lawyers a call today at (305) 371-6000. We will listen and we will help.